While it's not a requirement to have cake on your birthday, it's a tradition that goes back to the ancient Greeks, some say. It is also said that a sweet kind of bread was given to commemorate the birth of the baby Jesus. According to Tokenz:The Gift Shop, there are different theories for the round shape that birthday cakes often take. One theory is that many cakes were made by hand before being put in the oven and naturally fell into that shape. Other researches speculate that, in ancient times, the round shape represented the circular motion of life, the sun, and the moon. And why candles on a cake? This practice is credited to the Greeks, too, who, it is said, put them on cakes to give them a glow, like the moon. They would take cakes to honor the Goddess of the moon. Some believed, much like today, that the smoke from the candles would carry wishes made to the gods in the sky. So, that's a little bit of the history of the birthday cake. For more details, you'll enjoy Tokenz: The Gift Shop. Sure, birthday cake has a lot of tradition, but not everyone likes cake, and there are plenty of alternatives to cake. There's no reason to feel locked into it. Cupcakes are a big thing for birthdays right now. I've seen a small round cake in the middle surrounded by cupcakes. There are even more alternatives to cake. Be creative! Think about what the person might want, and go from there. Alternatives for Summer Birthdays? How About Frozen Pies? One of my brothers has a summer birthday in July. Often, that time of year around here is sizzling hot. And since he isn't a huge fan of cake, my family has come up with some alternatives to cake for his birthday. My brother does like traditional birthday cake all right, but it isn't his favorite thing for dessert. For his hot, summer birthdays, we have had cool cakes, such as Pepperidge Farm, or ice cream type pies from the freezer section. A homemade no bake chocolate pudding peanut butter pie with Oreo crust and whipped topping is also a nice birthday cake alternative for summer! Nice and cool--perfect for the hot month of July. One of our family July baby's favorite for birthdays is watermelon. It's light, cool, and refreshing. 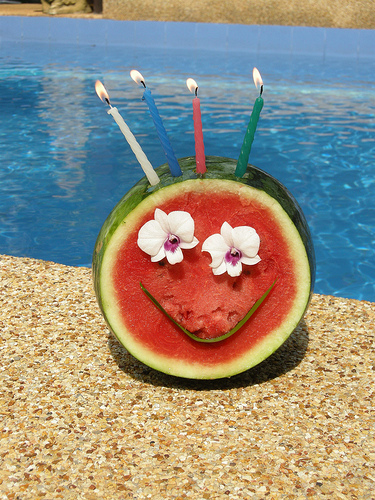 Cut in half, a watermelon holds a birthday candle or two (or more!) just fine. No traditional birthday cake needed! ...and Warm Pies for Winter! 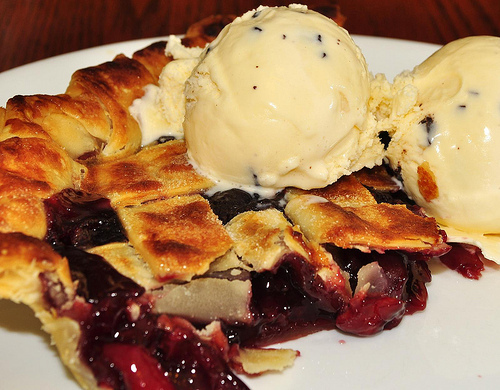 For the colder months, try a warm pie, and don't leave off the ice cream. If you are so inclined, you can make a homemade chocolate, cherry, or apple pie, and warm it up for a few seconds in the microwave before adding the ice cream. What a treat! Or buy a frozen pie and do the same thing. Warm pie is a nice alternative to cake and will leave you warm and fuzzy inside and in need of a nap. Try colorful fruit pizza for birthdays! 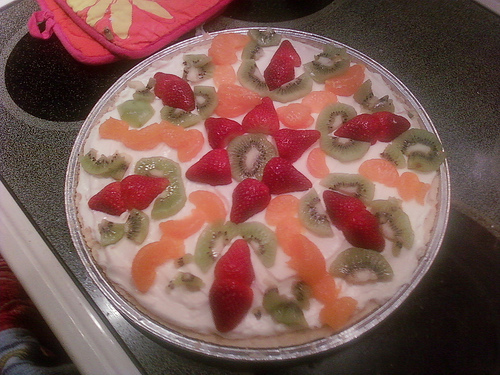 Another option is a fruit pizza, with a sugar cookie crust and fruit on top. Spread out your cookie dough on a pizza pan and bake it. After it cools, spread on your choice of frosting (such as cream cheese frosting!) and slices of any type of fruit of your choosing. This birthday option is cool and refreshing, while offering healthy and colorful servings of fruit. 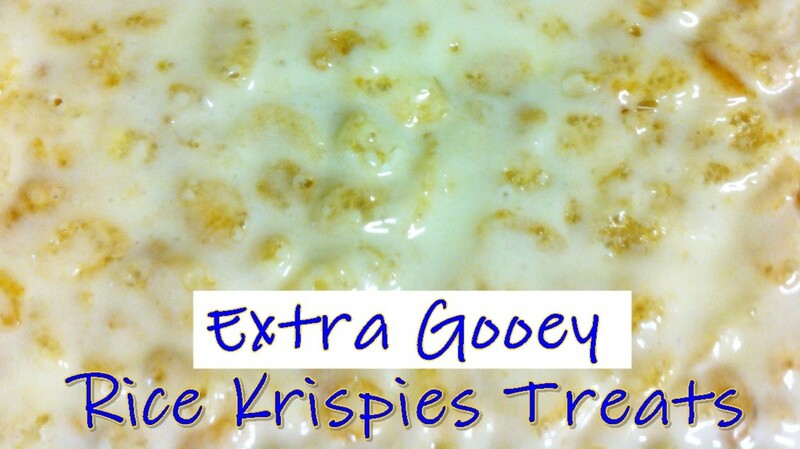 Another option is picking up a decadent dessert pizza from your favorite pizza joint. One year, my family picked up a chocolate pizza from CiCi's pizza. Being the chocoholic who loves pizza that I am, this was a perfect choice for my birthday. I also recently made a really good chocolate pizza at home. Another great idea for birthdays is fruit. Push that birthday cake aside and opt for fruit salad! For our family's summer birthdays, we have often bought a watermelon and stuck a candle in it. Especially in the heat, watermelon and other fruit really hit the spot. If your birthday person is health-conscious, he or she might appreciate this birthday alternative whatever time of year. Branch out for birthdays. The birthday cake, rich in tradition, taste, and calories, is always an option, but there are more options. It's a birthday! A party! Have fun with what you choose! Great Idea: Make Your Own Birthday Cards! This article is about greeting card making ideas with balloons. 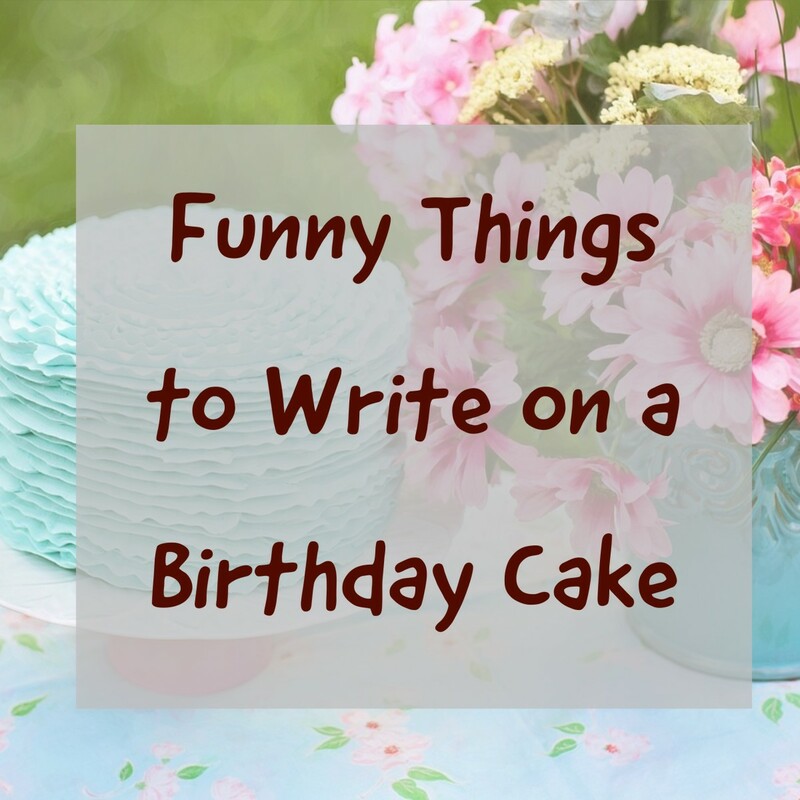 It includes over ten ideas for birthday cards, pop up designs, and more. There are lots of links and resources here. vibesites--Thanks for reading and commenting! Watermelon is perfect for my brother's summer birthday! Fun and helpful hub! 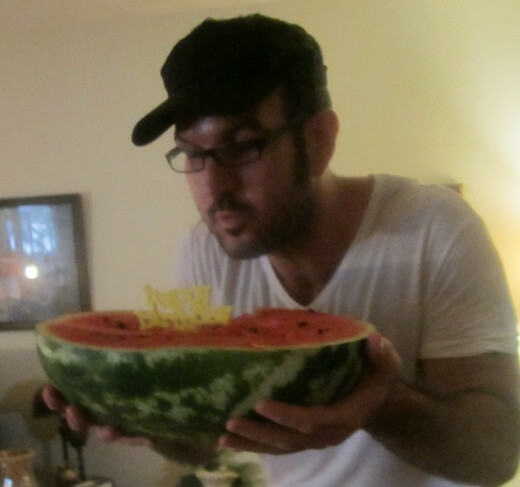 Birthday watermelon is a fab and clever idea. Thanks for posting! Up, useful, awesome. Thanks, Little Grandmommy. I'm glad you like these ideas! My favorite is the "Birthday Watermelon. Sooooo cute! Great hub, thumbs up! Thanks, TTombs for voting and sharing! eatforcheaper--Quiche is a great idea. Easy to put candles in! Interesting topic indeed! We once got a guy at work some quiche because he didn't like sweet things. We got one ham and cheese quiche and one broccoli and cheese. Was a great idea and delicious! RTalloni--Great idea about fruit in cupcake cups! Thanks! 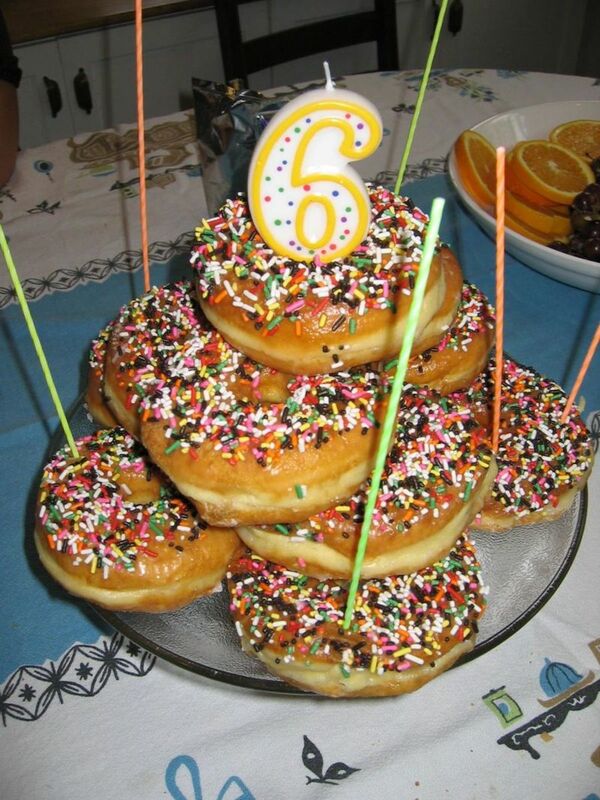 Alternatives to cakes are a great idea for birthdays! Fruit in cupcake cups might give kids a delightful change. Each one could have a candy candle in it. 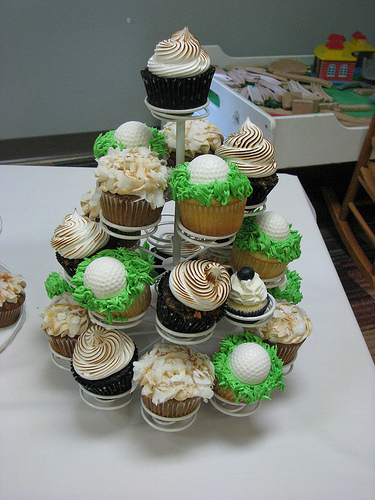 jpcmc--Yes, cupcakes are really becoming popular. We do use fruit sometimes though. Thanks for reading! Ruchira, you're right in that the fruit option may not work well for young kids! LOL. Thanks for reading and sharing! I force him to have at least 2 serving of fruit each day...can't torture him on his b'day. voted up indeed as useful and interesting. sharing it across! girishpuri--Thanks so much. I appreciate what you say! I WILL keep writing; that is for certain! Oh I love cakes! Most birthdays aren't complete without these delicious yummy cakes on the table. Even without birthdays, just a slice would satisfy my day if there is one in the ref. you would eat too...if it happened to you...bumbumbumbumbabum! Altogether now girls!!! Thanks, teaches! There are a lot of options! V....such unique, cute ideas......I can't make up my mind, so I guess for my next birthday, I'll have to have them ALL!!!! Interesting and fun HUB!! UP!!! ktrapp--Strawberry shortcake is a great idea! Yummy! Thanks, kelley! Much appreciated. Have a great weekend! My first thought was, what can you have instead of cake? I like your ideas, especially the simple fruit and pizza idea. I could go for some of that warm pie right now. random--Yummy chocolate cream pie. That's something I would love! Thanks for the comments. You are welcome for the link. I would love the cherry pie with ice cream for my birthday instead of the usual chocolate cake. Growing up, my sister always had strawberry shortcake for her birthday which really doesn't resemble cake at all. Great ideas. But, my lord, I LOVE the icing on the cake--my favorite part! There are alternatives, though! Thanks for your lovely comments!!! Great topic for a hub! 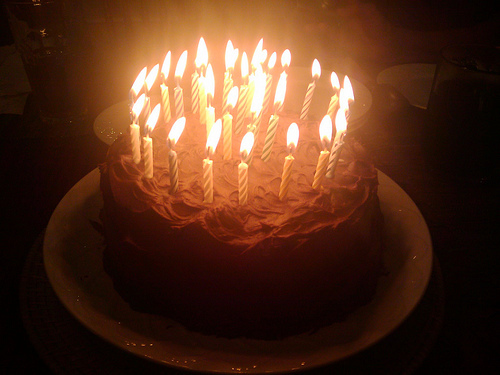 As I mentioned in HH, I am not a big fan of cake and often opt for other birthday desserts. I made a chocolate cream pie this year. Thanks for the great suggestions and photos and again, for linking to my hub! Excellent topic Dear Victoria! We love cakes in all shapes and tastes, except for the icing and extra sweet. 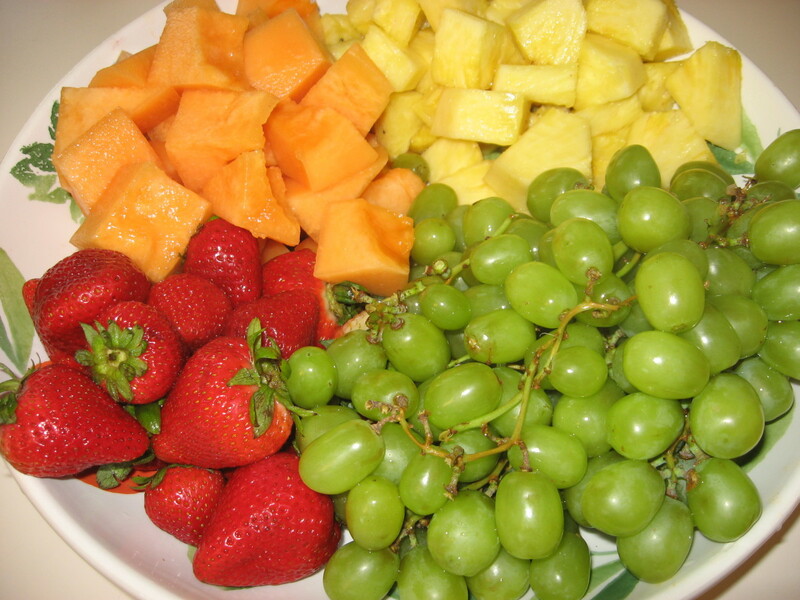 Fruits are wonferful and do the body better. Nice pics and phenomenal reading. We felt your heart poured in this hub and we loved it. The history part was awesome as well. SmartAndFun--That's cool about the beer with the candle! Neat! Thanks for the input. Love your comments! Fun hub! My husband is really into my Ooey Gooey Chocolate Marshmallow cake at the moment, but for a long time he always requested hot apple pie with ice cream on his birthday. This hub also makes me think of the BBQ joint here in my town that will bring out a huge schooner of cold beer with a lit birthday candle floating on top, sticking up out of a piece of beer-ice. You've picked a great idea for an article! Aw, Bill. Don't be green. We love your reflective hubs! You make people stop and think. What you share is great, much better than birthday party ideas. :-) I do hope you're right about the 50,000 views. I'll let you know. hahaha. Thanks for the comments. Always appreciated. You're the best. Another one of those great "evergreen" hubs that will garner like 50,000 views and make you number one once again, all designed to make me green with envy and wallowing in self-pity because my stupid little reflective hubs aren't read by anyone. :) Seriously, great job, well-written, lovely suggestions from a very good writer.